Round Shovel with deep socket. Perfect for digging holes, uprooting trees or shrubs and dividing perennials. This specialty garden weeder, feature an all steel body with durable and innovative features. Pick weeds from your lawn and garden without having to bend over. The serrated claws grip the weed while the large foot stepper is placed on the ground and angled up to pull out the weeder. An easy-release handle will let you drop the weed into a clean-up bag or bin. Round Point Shovel lh with Supersocket Round Shovel with deep socket. 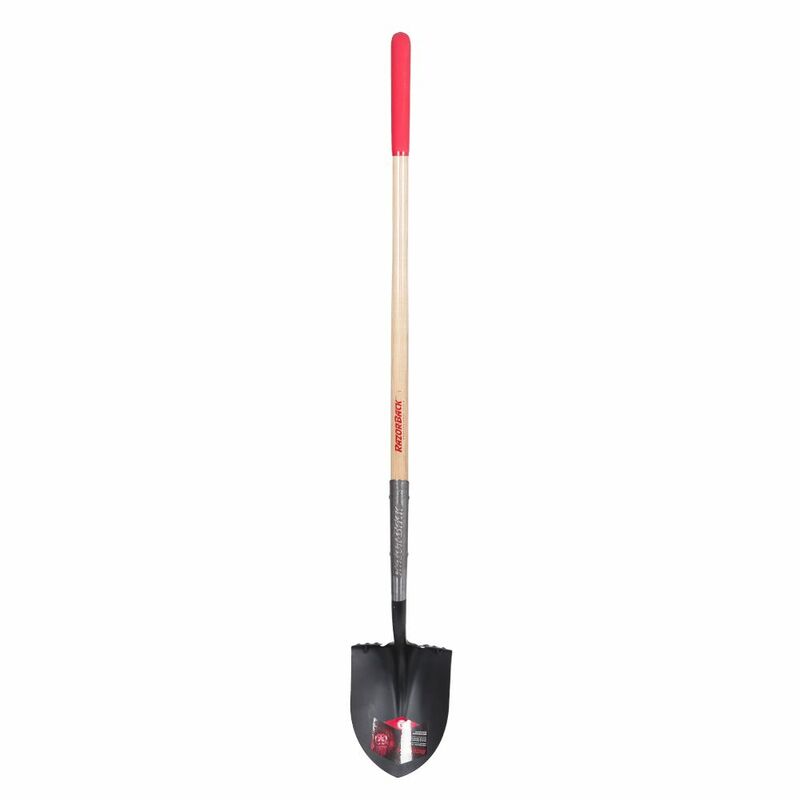 Perfect for digging holes, uprooting trees or shrubs and dividing perennials.